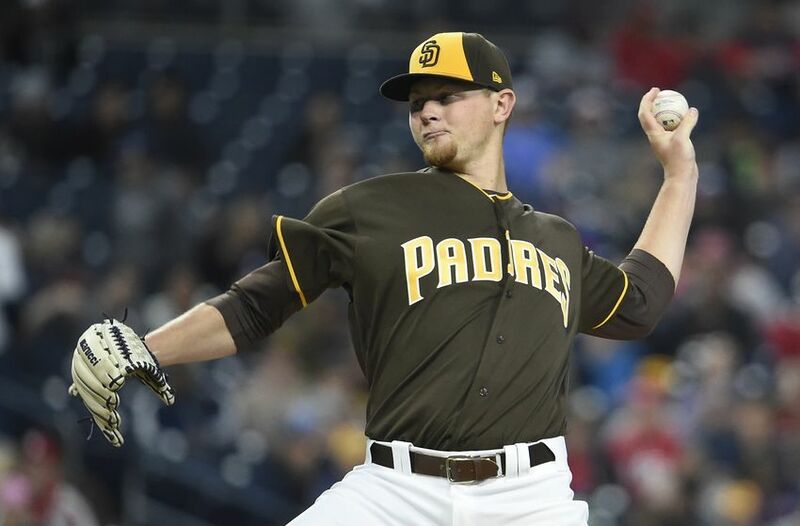 The San Diego Padres have an impressive group of young pitchers within the system. Eric Lauer made his debut in 2018 and could be one of the better prospects to come through the system in a long time. He is just an example of how this system should produce relevant major leaguers for years to come. Here is Lauer’s PNO (positives, negatives, and outlook) as we continue to go through the entire Padres’ roster. 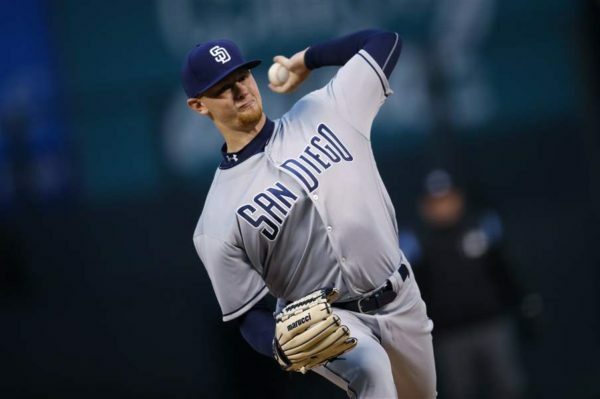 Eric Lauer took positive steps in 2018 and should be considered a solid contributor for the starting rotation moving forward. 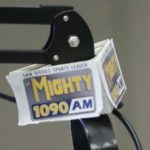 Both Lauer and Joey Lucchesi provide the team with a decent left-handed option. 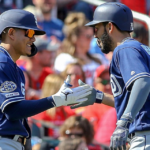 Each grew tremendously in their rookie campaign while showing excellent character necessary for growth in major league baseball. At the same time, each needs to consistently approach their craft while constantly adjusting their approach to getting hitters out. It is unbearably hard to be successful at the major league level. Eric Lauer has shown an excellent mind for the game. He thinks on the mound and is not considered a thrower. He most certainly is a pitcher. The left-hander is only 23, showing a great maturity and understanding of how to pitch. The future seems bright for this Kent State product. He is very calm on the mound and rarely gets rattled. That is very rare for a 23-year-old. He has a stoic look on his face no matter if he is pitching well or getting hit hard. That shows great maturity. 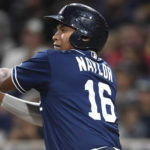 At the same time, he has a down-to-earth approach to where he is as a major leaguer and is extremely grateful for that. Lauer is approachable in the locker room and has the aura about him of a player who has been there before. His first series of starts were rough for the left-handed pitcher. He adjusted after getting knocked around with a great start in Mexico against the Dodgers. He also had a terrific end to his season in which he showed excellent growth with his pitch selection. Lauer has plenty of diversity with his pitches. He told me he is working on a changeup and should have that in the repertoire come spring training. The growth is there and so is the sense of how to pitch. His move to first is an absolute weapon as he kept base runners tight throughout the year. 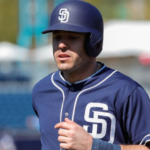 His mechanics in the motion of the pickoff are flawless, as Lauer helped the Padres lead all of major league baseball with 20 pickoffs. Lauer had seven all by himself in his first 46 innings, including a pickoff in five straight starts. He walked more batters (3.7 per/nine IP) in 2018 than he has since his freshman year at Kent State University. He needs to improve on that area and needs to stop nibbling around the corners. Comfort was a big key in his walk rate jumping a bit. This is natural as major league hitters simply do not chase bad pitches as often. He needs a third pitch to be successful at the major league level. His slider/cutter pitch is tremendously useful, but he has to generate more swings and misses. Especially against right-handed batters. 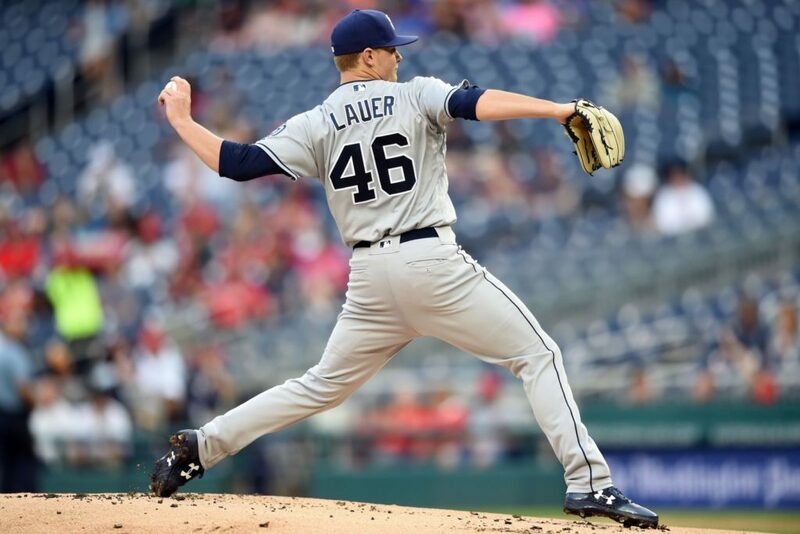 Lauer threw nearly 2,000 pitches last year at the major league level. He only threw 70 changeups. If he can utilize this pitch more frequently, it could help him neutralize right-handed hitters. 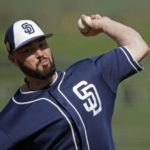 In 112 innings pitched in 2018 for the Padres, Lauer allowed 127 hits, 46 walks, and hit six batters. That is way too many base runners for him to achieve success. A lot if this is due to comfort and the fact he tried to pitch differently last year at times than his norm, instead of just doing what he knows how to do. The game got a little big for him in spurts last season. 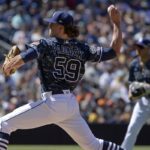 Expect Lauer to make adjustments and become more comfortable at the major league level in 2019. The future really seems bright for this left-handed thrower. He should be a fixture in the rotation for at least the next few seasons. As Lauer begins to fill out and get larger with his frame, he could increase the velocity on his average fastball. We have already seen moments where Lauer hits 95-96 on the radar gun. If he can bump his velocity up while implementing a change, he could be very special. 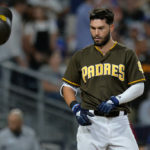 The Padres are excited for the future of the franchise, and Eric Lauer provides a great glimpse into that future.